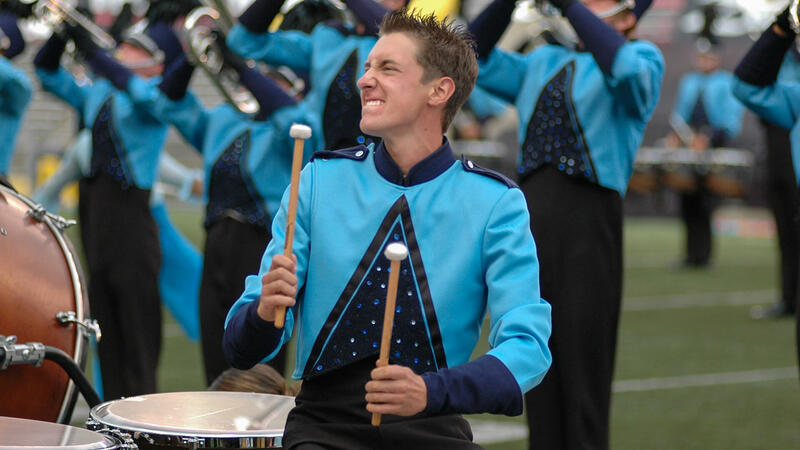 The Drum Corps International World Championships’ seventh visit to Madison, Wisconsin’s Camp Randall Stadium in 2006 ended with The Cavaliers winning a seventh DCI title. Phantom Regiment finished second with “Faust” and a color guard turned newly coed. Blue Devils’ “The Godfather, Part BLUE” show finished in third, but ended only 0.65 points behind Cavaliers’ winning score. 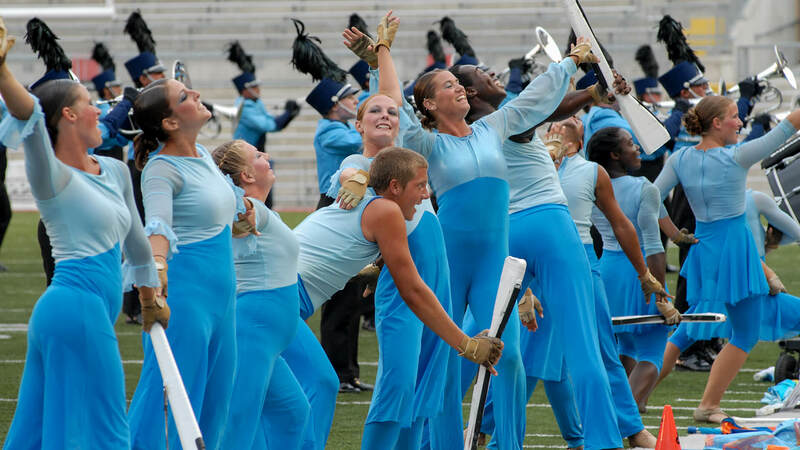 The fourth-place Bluecoats finished the season with their highest placement to date, beating The Cadets by just a tenth of a point, one year after the east coast corps won it all by tying the then-current highest Finals score ever. 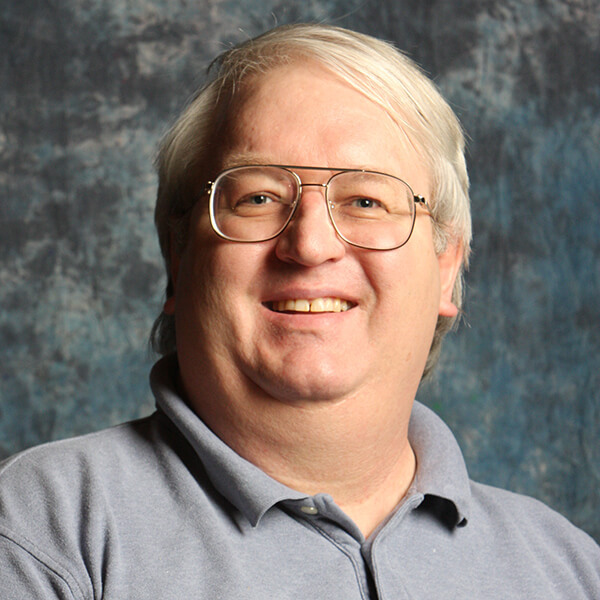 Spirit from Jacksonville State University celebrated its 30th anniversary with “Old, New, Borrowed & Blue,” a show that defined the term, “truth in packaging.” The 12th-place show marked a celebration of the corps’ storied past and its recent resurgence as one of the activity’s top units. Watch Spirit's "Old, New, Borrowed & Blue" on DVD. The corps was a top-12 finalist from 1976 through 1988 as Spirit of Atlanta, popped back in to Finals in 1990, then didn’t return to the big show until 2002, the year after the organization relocated to Alabama’s Jacksonville State University. Within seconds of the start of the opener, the corps visually evolved three sections of brass and the drum line into the corps’ delta logo, the symbol associated with the organization since its beginning in 1977. Flags were of bright colors, the design also in the shape of a delta. “Old Black Magic” then was juxtaposed upon “Ol’ Man River, which returned in its full melody prior to the horns spelling out the word, “OLD,” which was part of a moving transition into the final form of an outline of a delta. The concept of “New” came in the form of Aaron Zigman’s ballad to the 2004 film, “The Notebook.” Shimmering metallic blue lamé flags were featured up front until a color guard member lifted another performer above his head at one of the emotional climaxes in the piece, at which point the flags were switched out for transparent salmon-colored silks for the remainder of the ballad. The volume was turned up until the horns faced backfield to resolve the piece in a continuous squiggle formation attached to the flag line. “Waltz of the Mushroom Hunters” was “Borrowed” from the Buddy Rich Band’s 1973 album, “The Roar of ’74,” the album that supplied “Nutville” to Spirit’s fourth-place 1979 production. Spirit’s version commenced with a tumbler somersaulting ahead of a backdrop of extremely bright flags of blue, orange, and yellow. This kicked the piece into a jazzy motif with different sections of the horn line showing off in unison, followed by a jazz drum break that featured a set drummer trading riffs with the battery percussionists. The “Blue” in the show’s title was a combination of two selections, the first being another song co-written by Harold Arlen and Johnny Mercer. “Blues in the Night” was written for a 1941 movie of the same name. Spirit treated the tune in its original down-and-dirty glory, with brass soloists rasping and gurgling the tones as a jazz singer emoting from the deepest recesses of his or her esophagus, accompanied by dancing color guard members. “Blues in the Night” only lasted for 35 seconds, making its case before transitioning into Frank Ticheli’s “Blue Shades” from 1996. The corps milked the most-bluesy sections of the piece for just over a minute, before returning to “Ol’ Man River.” That melody was first heard in the front ensemble percussion before it was picked up by the horns, which brought the show to a rousing conclusion. 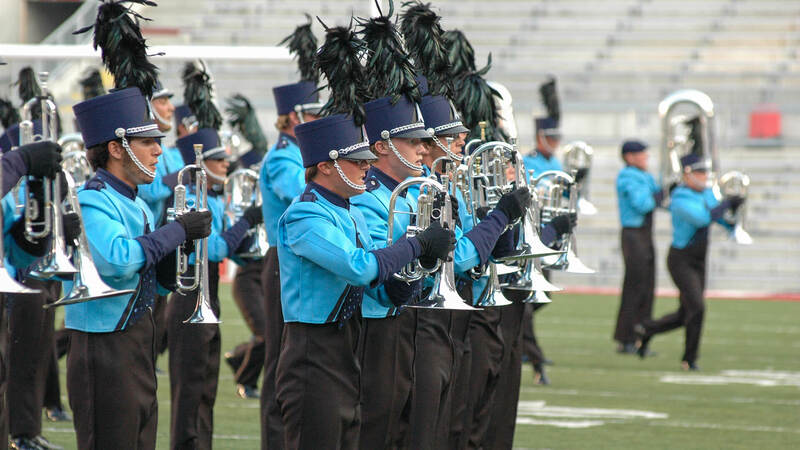 The brass players finished up front in a block formation, reminding old-time DCI fans of the sound put out by the corps in the late 1970s when the late Jim Ott turned a second-year horn line into an instant DCI powerhouse.